Mastrangelo with Escape in his Brooklyn studio. Photography by Cary Whittier. 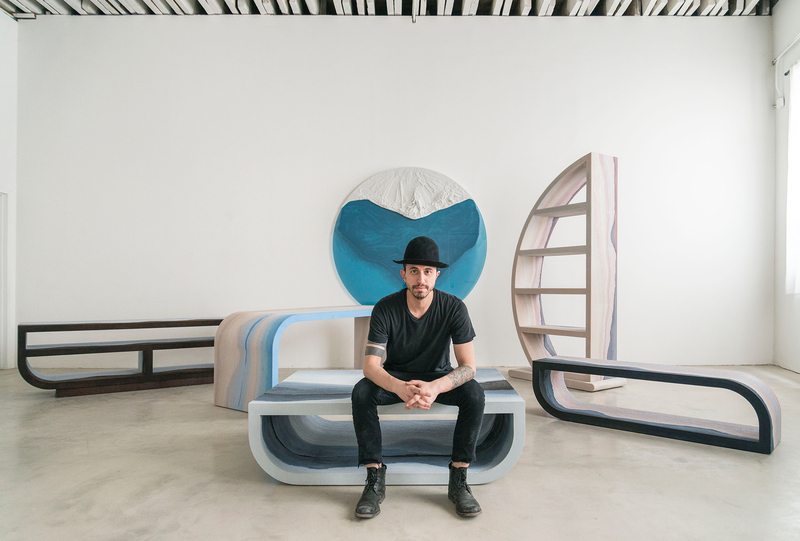 Fernando Mastrangelo has released his latest collection of sculptural furnishings through his namesake studio FM/s. Titled Escape, the six-piece collection features color gradients that mimic idyllic landscapes. Coffee table from Escape. Photography by Cary Whittier. Credenza from Escape. Photography by Cary Whittier. Detail of Escape's bench. Photography by Cary Whittier. Mastrangelo’s wanderlust continually informs his work. 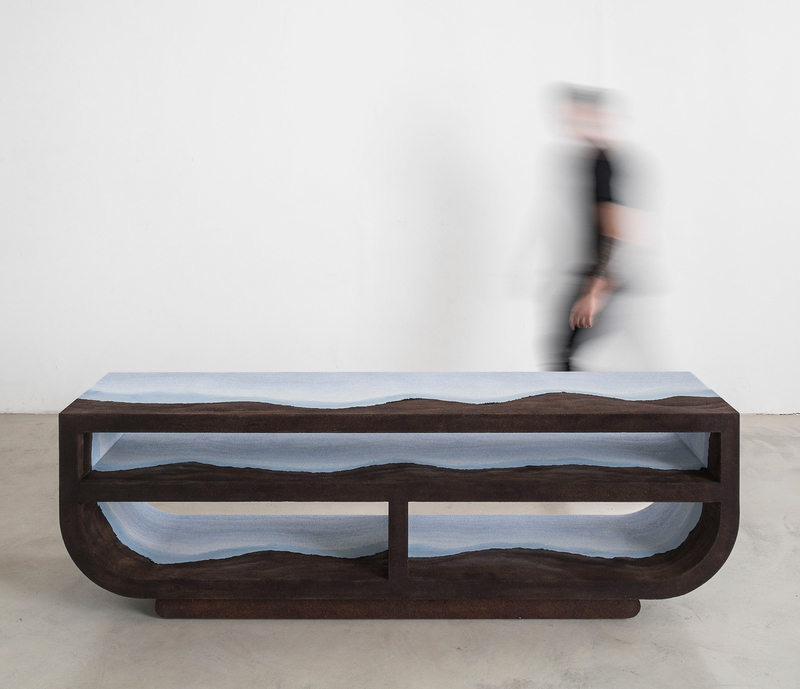 Traversing Patagonian glaciers culminated in Drift, his studio’s inaugural collection, which received Best of Show at the NYCxDESIGN Awards after debuting at Collective Design last year. This year, he will debut two new collections at Collective Design and one at Sight Unseen OFFSITE. He also plans to foray into flooring by designing a rug collection for Edward Fields. Unveiled in installments, Escape first debuted in Milan during Salone del Mobile at Rossana Orlandi, where it will be on display until May 1. 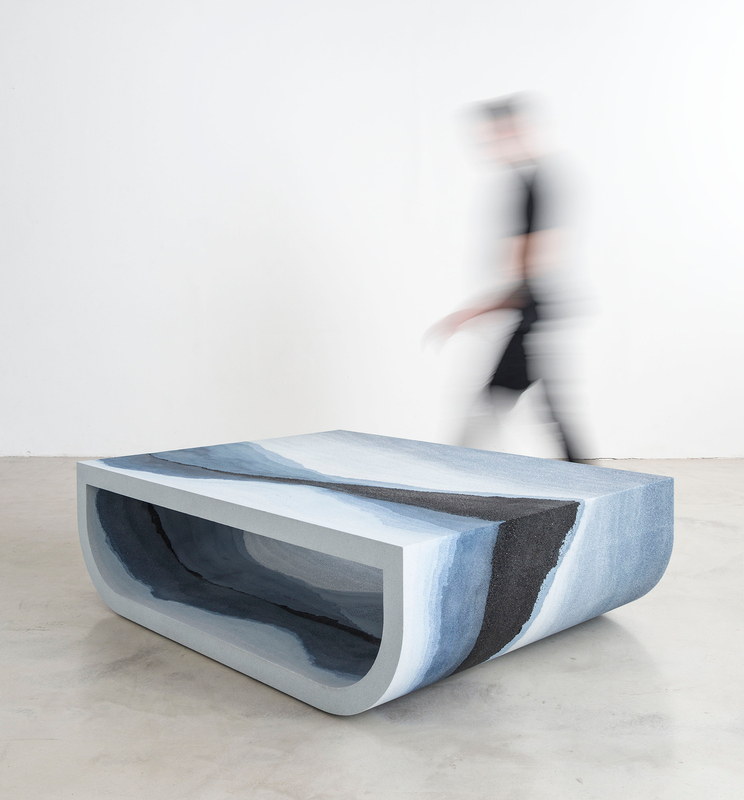 New York–based gallery Maison Gerard will showcase the collection until May 5. ESCAPE Series launches at @rossana_orlandi this week at Salone de Mobile! And then on APRIL 13th in NYC @maisongerard! I'm very excited to present these works which we made using Hand Dyed Sand, and Crushed Powdered Glass. 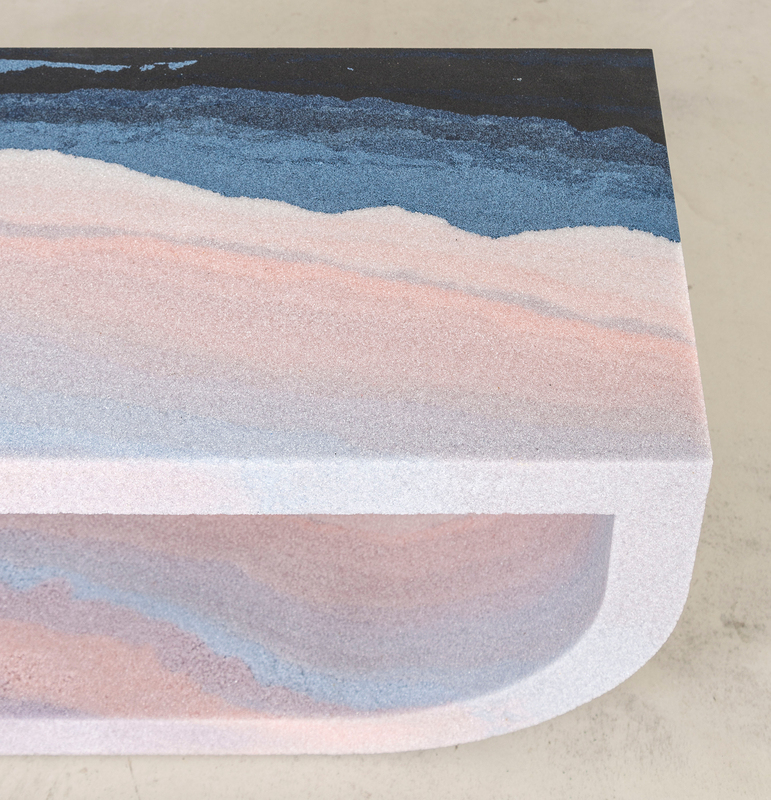 We cast layer by layer, inspired by landscape paintings. Please join is in Milan or NYC to see the works in person. ??????????? ?